What is an AOD, or Action on Decision? AOD is an acronym for Action on Decision. 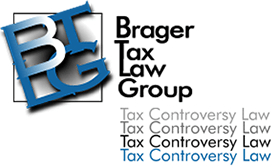 It is a formal memorandum prepared by the tax lawyers at the IRS Office of Chief Counsel that sets forth the tax litigation position the IRS will take with regard to a court decision. Generally, it explains why the IRS agrees or disagrees with the court decision, and whether or not the IRS will follow it in the future, i.e. an acquiescence or non-acquiescence. A list of AODs is availabe on the IRS website.